Congratulations to our 2018 IES Abroad Ambassadors of the Year: Lydia Carr (IES Abroad London, Fall 2016 | Howard University) and Matthew Helfond (IES Abroad Buenos Aires, Fall 2015 | Santa Clara University). Lydia and Matthew are clear examples of Ambassadors who go above and beyond their responsibilities to ensure that students on their campus are aware of the opportunities that study abroad can provide. IES Abroad Ambassadors are recent study abroad alumni who share their experiences with students on their campuses across the United States. We’re excited to honor two Ambassadors who truly stand out. 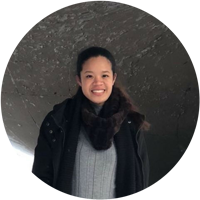 While on the IES Abroad London – Health Practice and Policy Program, Lydia maximized her time abroad by seizing every opportunity to learn about others and, consequently, herself. On top of her courses, Lydia participated in service learning at a not-for-profit health organization. She collected patient feedback on the health system in London, working with patients from hospitals, community centers, and mental institutions. As an Ambassador, Lydia used her experience to help students on Howard University’s campus picture themselves advancing their education abroad. Through assisting at events sponsored by her study abroad office, Lydia was able to improve her public speaking skills. This inspired her to lead informational sessions for students on and off campus. Highlights of Lydia’s Ambassador experience include leading an informational session for the Caribbean Student Association; encouraging 13- and 14-year-old girls to start thinking about study abroad at Girls, Inc.; and visiting DC Metro High School to discuss the importance and value of a global education. A senior at Howard University, Lydia hopes to expand her network in the health field, with the possibility of returning to London to obtain her Master’s degree. Looking back on his experience on the IES Abroad Buenos Aires – Latin American Societies Program, Matthew recalled several instances of being pushed out of his comfort zone, that enabled him to become successful in various aspects of his life. As a Spanish Studies minor, Matthew furthered his knowledge of the Spanish language by immersing himself in the Argentine culture. “Because of my time studying abroad and being influenced by the Argentine culture, I am very comfortable in my own skin and not afraid to express myself,” Matthew said. 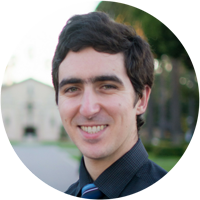 For two years, Matthew served as an active Ambassador on Santa Clara University’s campus. Highlights of Matthew’s extensive list of Ambassador activities include assisting at study abroad fairs and informational sessions, speaking to various student groups such as Santa Clara University’s Men’s Rugby Team, and completing global engagement reports to give prospective students a sense of what studying abroad in Buenos Aires is like. Matthew currently resides in San Francisco, California, and is studying for the CPA (Certified Public Accountant) exams. Want to learn more about study abroad first-hand? Our IES Abroad Ambassadors are here to help. Contact an IES Abroad Ambassador to learn more about a program or a location.